The two colleges, on Gloucestershire Science and Technology Park, welcomed students for the first time this term - but the potential for such a fantastic outcome was far from obvious back in 2005, when we inherited the redundant labs complex next to the former nuclear power station. For us, at the NDA, it’s a perfect example of us achieving our mission: a site that’s been decommissioned, cleaned up and brought back into full use for the benefit of the whole community. 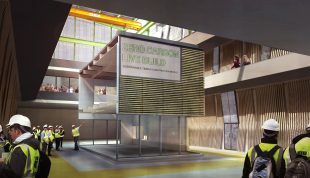 We’d originally drawn up plans to demolish the labs, workshops, warehouses and offices known as the Berkeley Centre, and had estimated that it would cost around £8 million. 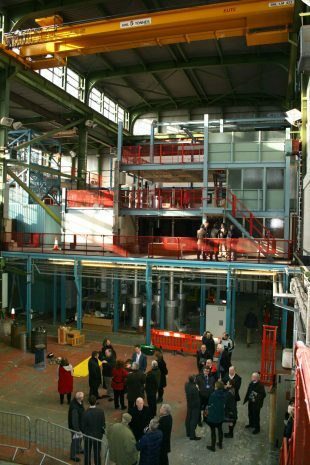 Berkeley Centre had been used to support research for the UK nuclear industry over many decades but gradually fell into disuse as research programmes ended. By the time the NDA was established, a fair amount of decommissioning and demolitions had already been carried out – mainly on those facilities that had a radiological use. We were pleased when we began talking to local stakeholders during our consultations about the end of the site. They had a clear vision and wanted the empty buildings re-used to bring skills and jobs into the local economy. The vision just grew and grew and everyone we spoke to was extremely excited about the project. 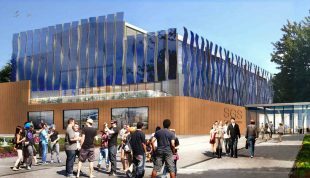 It had the support of the regeneration partnerships, local businesses, community groups and, of course, South Gloucestershire and Stroud College (SGS) which drove it all forward. The NDA pushed ahead, ensuring all the outstanding activities were completed to enable the nuclear regulations to be removed, and agreed the lease to SGS on a long-term basis. And now the dream has been realised, with more exciting plans in the pipeline - including potential for a hovercraft link across the Severn Estuary that will open up opportunities for students in South Wales and the Forest of Dean. It’s wonderful to see that the site’s nuclear heritage is still visible, with an old decommissioned reactor still there as a reminder to students of the ground-breaking research that took place on the site, and the re-use of the old engineering rig hall as the centrepiece of the University Technical College, now totally refurbished. There is also space for businesses and a number of units are already occupied, so it boosts the local economy too. I started my career at BTC, so great to see the site regeneration. That photo of the old engineering hall took me back a few years.....i learnt an awful lot about materials testing there from some highly skilled people.